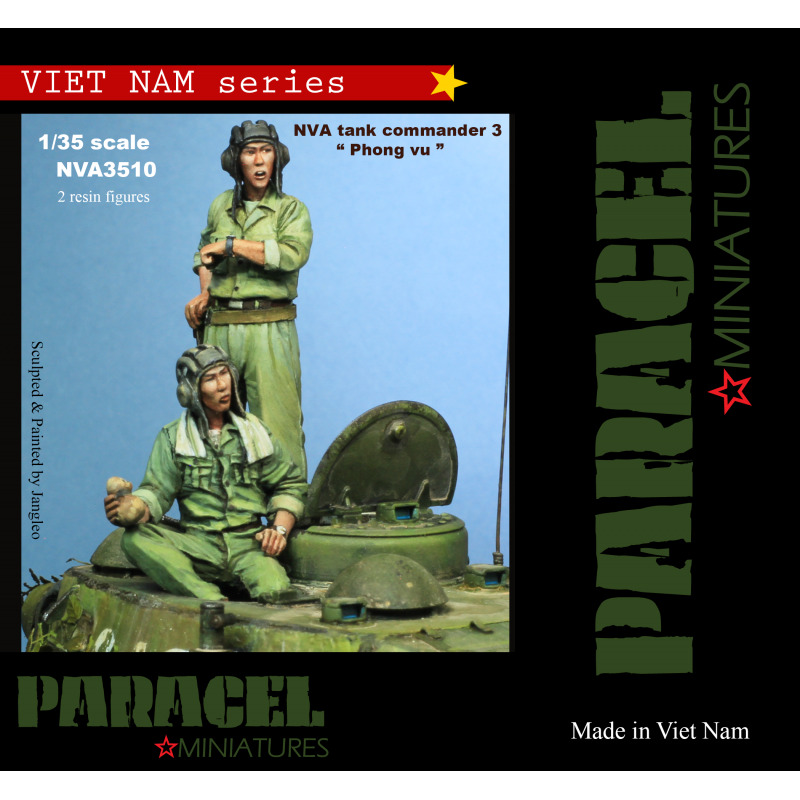 Paracel Miniatures lately released another North Vietnam Army- NVA tank crew set with two figures; NVA3510 depicting Tank commander-Phong and a tank crew member-Vu. Figures of this kit are also available seperately. One of them is NVA3508-NVA Tanker Phong- It’s time to rush depicting a tank commander standing and looking at his watch. Inside standard single- figure cardboard box of the company; all 3 parts are inserted into a zip-lock bag. Boxart shows painted figure displayed next to a tank turret. Sculpted in 1/35 scale and cast in grey resin, quality is quite well. Review sample had a vertical seamline to clean on the left side and a small hole to fill on the left elbow. Figure comes in three parts; full body, head and left arm. Body; Over his t-shirt, he wears green color standard NVA uniform of cotton shirt and trousers. The shirt has long sleeves, two pleated breast pockets with pointed flap covers and all buttons are brown plastic. The trousers has two side and two rear pockets. Cloth folds and uniform details are sculpted realistic and sharp. He has a NVA army leather imitation belt and another NVA cloth belt as pistol belt to carry his Makarov holster on the right side. 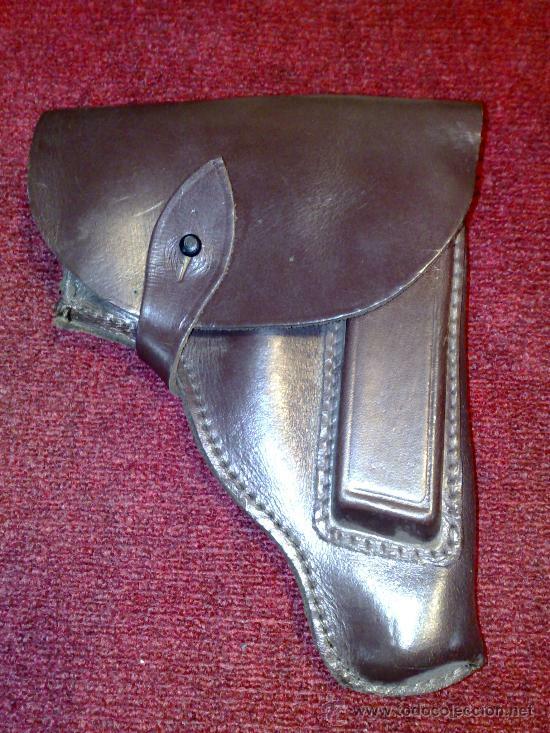 Tanker gloves are inserted to the belt on the right back and right arm with upfolded sleeves is posed to put his hand on the holster. Face is nicely sculpted in Asian facial details like small slanting eyes, snub nosed , stuffed lips and high cheek bones and he has a Soviet type NVA Tanker Helmet with heavy cotton pads and earphone covers. Head is given as a seperate part which gives modeler to pose it looking forward or looking at his watch. This is a nicely posed, sculpted and cast figure and can be assembled easily with only 3 parts. It is suitable for any 1/35 scale NVA armor of Vietnam War like T54/55,PT76,etc. Besides making a great scene with NVA3509 Tanker Vu, it can be used together with old Paracel kits VN0215 or VN0515 . Verdict: Nice figure to display on all NVA tanks of Vietnam War.